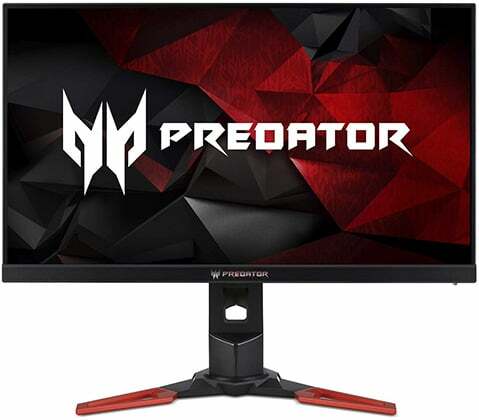 The Acer Predator XB271HU bmiprz is a premium gaming monitor which combines a 144Hz refresh rate (overclockable to 165Hz) and a 1440p IPS panel with NVIDIA G-SYNC technology for a flawless gaming experience. 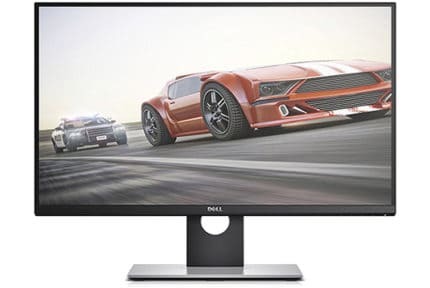 Furthermore, the monitor offers extensive connectivity and ergonomics as well as plenty of gaming features including NVIDIA’s ULMB motion blur reduction technology. Although it’s a bit overpriced, it’s a worthy investment for those who can afford it. 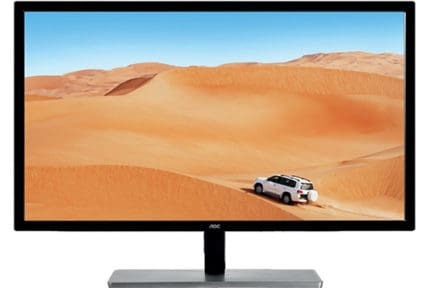 Based on AU Optronics’ AHVA (IPS) panel technology, the Acer XB271HU offers a 350-nit peak brightness, a 1,000:1 static contrast ratio, a 4ms response time speed, and 10-bit dithered color support with 100% sRGB color gamut covered. Alas, the monitor isn’t factory-calibrated, so for the best Acer Predator XB271HU calibration settings, you will have to fiddle with the color adjustments yourself. Advanced 6-axis and RGB color settings are available in the OSD (On-Screen Display) menu. Many find 27″ screen size and 1440p resolution to be the ideal combination for gaming. The monitor isn’t too big nor too small while the resolution provides just the perfect pixel density. With 108.79 pixels per inch, you get maximum details and screen real estate without any UI scaling required. Keep in mind that the bandwidth required to run 1440p at 144Hz is almost double than it’s for 1080p at 144Hz, and more than 4K at 60Hz. So, you will need at least the GTX 1070 for low/minimum settings at 1440p/144Hz depending on the game. The main complaint you may see about the Acer Predator XB271HU 27″ monitor is its IPS glow and backlight bleeding. These two similar but different monitor defects show as excessive light leaking around the corners or edges of the screen. We didn’t see any prominent backlight bleeding nor any dead pixels on our unit. IPS glow, on the other hand, is expected from IPS panels. If you max out the brightness on your screen and dim all the lights in your room, the glow that appears on the screen is supposed to happen and you should either reduce the screen brightness or let some light in your room. Moving on, the Acer Predator XB271HU input lag performance is top-notch with less than 5ms of delay. The response time is also impressively fast as it effectively removes almost all ghosting and motion blur in fast-paced games. Now, the response time isn’t as fast as that of TN panel displays with 1ms nor is the contrast as high as it’s on VA panel monitors; but these panels have their own drawbacks. So, you won’t have as quick pixel transition as TN gaming monitors, but it will be more than fast enough, even without the ULMB. Moreover, black colors won’t be as black as on VA displays, but then again, you won’t get the awful motion blur you get on VA monitors. 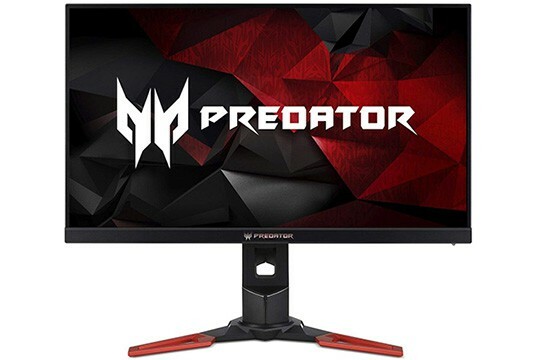 Equipped with NVIDIA’s G-SYNC technology, the Acer Predator XB271HU monitor enables a variable refresh rate when connected to a compatible GeForce GTX card, 650 Ti or newer. This will allow the display to change its refresh rate dynamically and in synchronization with the GPU which will eliminate screen tearing and stuttering for good. Moreover, it won’t introduce as much input lag as VSync does; in fact, the Acer Predator input lag is just 1ms higher with G-SYNC enabled. Alternatively, you can use ULMB (Ultra Low Motion Blur) which via backlight strobing completely eliminates motion blur and ghosting of moving objects in video games. ULMB cannot be active at the same time as G-SYNC as it can only work at fixed refresh rates of 85Hz, 100Hz, or 120Hz. When ULMB is enabled, the screen becomes a bit dimmer without the ability increase its brightness and input lag gets increased a bit to ~10ms which is still imperceptible. You can use the Acer XB271HU with an AMD card as well, but you won’t be able to benefit from variable refresh rate nor ULMB. In case you have an AMD card, get a 27″ 1440p 144Hz IPS monitor with FreeSync instead, so you don’t pay a premium for G-SYNC for no purpose. The XB271HU, as well as the rest of the Acer Predator XB1 series monitors, offer additional gaming features including Dark Boost which you can use to alter the gamma curvature and increase visibility in dark parts of video games. Next, you can set a custom Aim Point on-screen for better precision in FPS games and track your framerates/refresh rates with the Refresh Rate Num feature. There are also three customizable picture profiles. The screen is flicker-free unless ULMB is enabled and there’s an integrated low blue light filter which prevents eye strain and fatigue. Finally, you will find the Overdrive settings with Off, Normal, and Extreme modes. We suggest using either Off or Normal as Extreme introduces pixel overshoot or inverse ghosting. The design won’t appeal to everybody due to the gamer-inspired aesthetics. It’s a tad bulky looking at it from the side, but at least the bezels are very thin at the top and at the bottom, so it’s a great choice for multi-monitor setups. Ergonomic abilities include -5°/20° degree tilt, -/+ 30° swivel, 90° pivot, and up to 150mm (5.9″) height adjustment. There are also 100 x 100mm holes for VESA mount. For 1440p at 165Hz and G-SYNC, you will need to use the DisplayPort. There’s also an extra HDMI port which maxes out at 2560×1440 at 60Hz. There’s also a headphones jack, a quad-USB 3.0 hub (two ports at the side), and 2x2W DTS built-in speakers. The Acer Predator XB271HU price amounts to around $700. ASUS’ counterpart model, the PG279Q, is equally priced. However, ASUS’ latest 27″ 1440p 144Hz IPS G-SYNC version, the ASUS PG279QZ is actually cheaper (~$600) yet it offers all the same specs and features which is why we recommend it over the XB271HU or the PG279Q. Even though the Acer Predator XB271HU lacks certain modern features such as HDR, it’s still a first-class gaming monitor which delivers a flawless performance and a stunning image quality. While G-SYNC does increase its price, it also greatly helps with the performance and gameplay, and if you choose to invest in it, it will certainly come in handy in future. The Acer Predator XB271HU delivers a flawless gameplay experience thanks to G-SYNC, ULMB, fast response time, high refresh rate, and low input lag. The image quality is stunning as well though calibration is required. Versatile design and extra gaming features are a nice addition as well.